I live in the West Georgia area. We now have several trees chewed up beginning 5 feet off the ground and all the way around the tree, some to the very top. I found a birch that had a 4 foot section eaten out of the top about 20' feet up. Pines, oaks, sweet gums are affected so far and several people in Troup County have the same issue and no one has any answers except: squirrels, woodpeckers, bears. 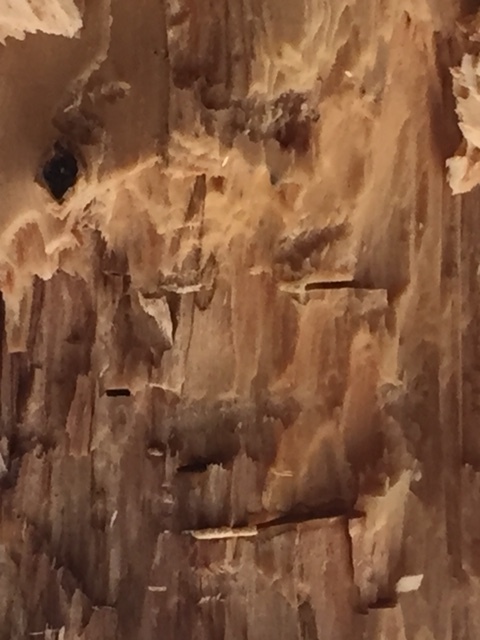 Beetles infested tree. See circular holes. 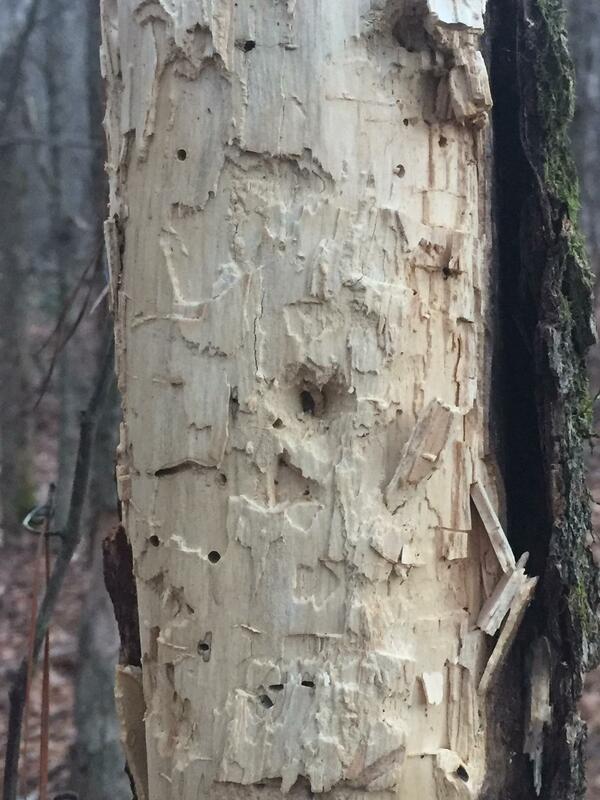 Woodpeckers made larger holes to get at the beetles. Bark fell off, helped along by animals trying to get to the tasty beetle larva. For more depth, see my answer to the question this is a duplicate of. Not the answer you're looking for? Browse other questions tagged united-states bears animal-behaviour trees animal-identification or ask your own question.